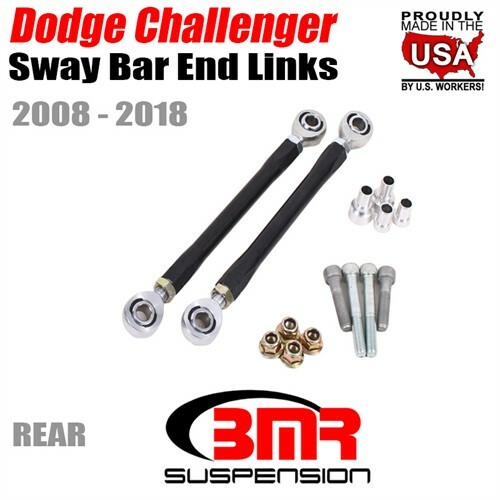 The amount of force exerted on the sway bar end link is staggering—especially if you’ve upgraded to an aftermarket sway bar, like BMR Suspension's adjustable and non-adjustable 2008-2018 Dodge Challenger sway bars. 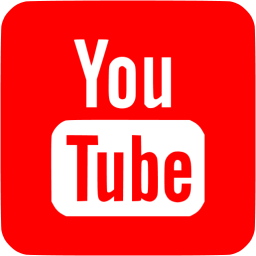 The stock end links are weak and can bend or break. BMR’s ELK110 front and rear end link kit allows you to push your Challenger to the limit without fear of end link deflection. BMR manufactures the ELK110s out of CNC-machined billet aluminum bar stock. The links are completed with heavy-duty, Teflon-lined rod ends. The rod ends attach to the sway bar with supplied hardware. This combination of components gives you a huge increase in strength over stock end links. 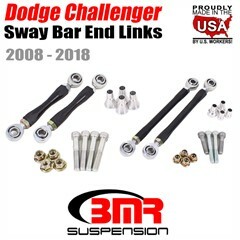 BMR designed the ELK110 front and rear sway bar end link kit for street performance, autocross, and road race applications. 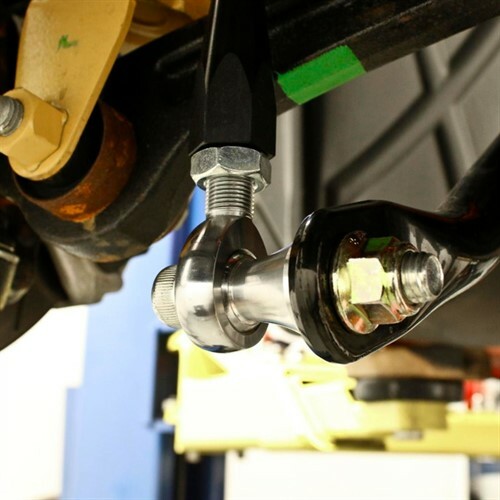 BMR’s heavy-duty adjustable end links are designed to reduce deflection normally seen with stock sway bar end links. End link deflection means reduced sway bar rate, leaving you with increased body roll and reduced handling ability. BMR’s ELK110 will not deflect, giving you the full potential of the sway bar—no matter how hard you drive. 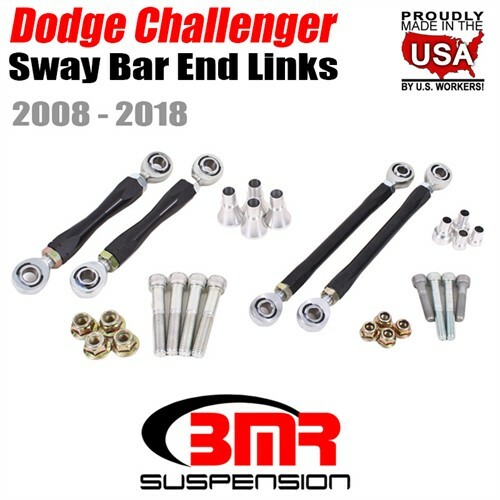 The adjustable links give you the ability to easily correct sway bar geometry and working angles on lowered Challengers, as well as cars with adjustable sway bars. The ELK110 adjustable end links give you the ability to preload the sway bar to fine-tune your suspension setup for any track. 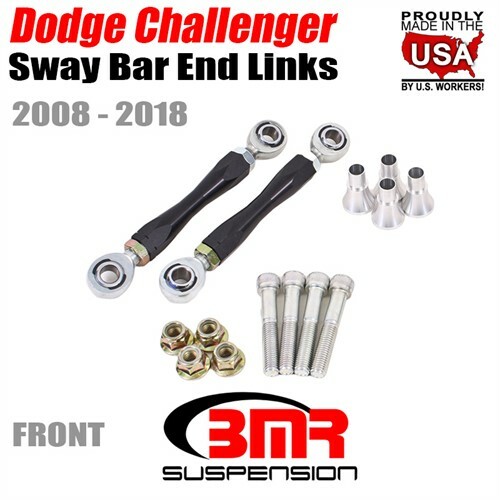 Combine this with BMR’s adjustable sway bars, and you can dial-in your car for the street or any track you may drive on. When performance is a must, rely on BMR Suspension!